1. 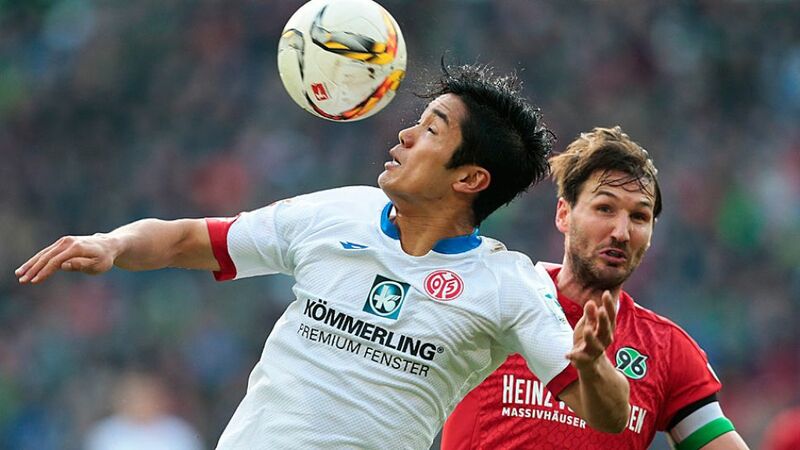 FSV Mainz 05 will be without their Japanese forward Yoshinori Muto "for several weeks" after he tore lateral knee ligaments on Matchday 20. As the club confirmed on Sunday, Muto picked up the injury during his side's 1-0 win over Hannover 96 on Matchday 20. The Japan international was replaced by Fabian Frei after 75 minutes at the HDI Arena. Muto has netted seven goals so far in his maiden Bundesliga campaign, but his record of featuring in every single one of the 05ers' 20 top-flight games this season will now end as he bids to recover before the end of the season.